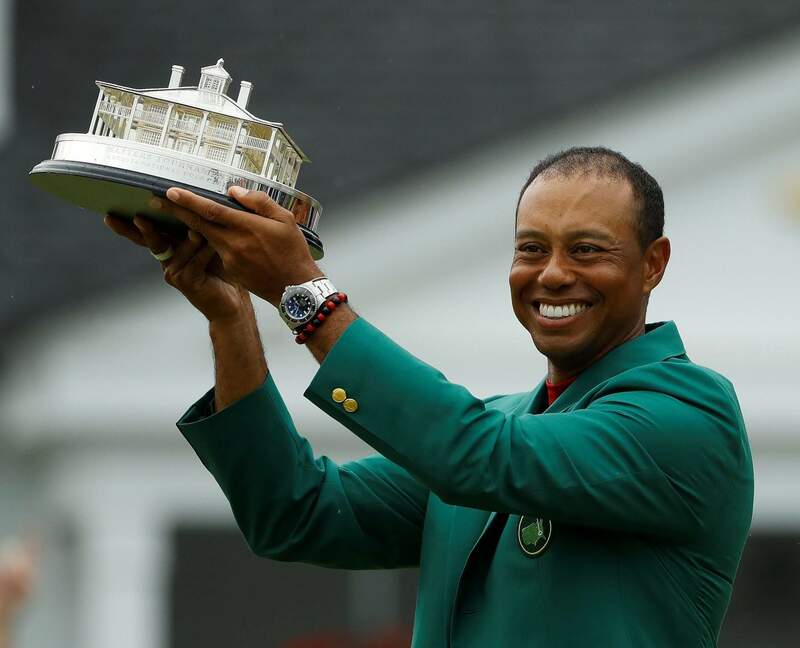 Tiger Woods wears his green jacket holding the winning trophy after the final round of the Masters on Sunday in Augusta, Ga. 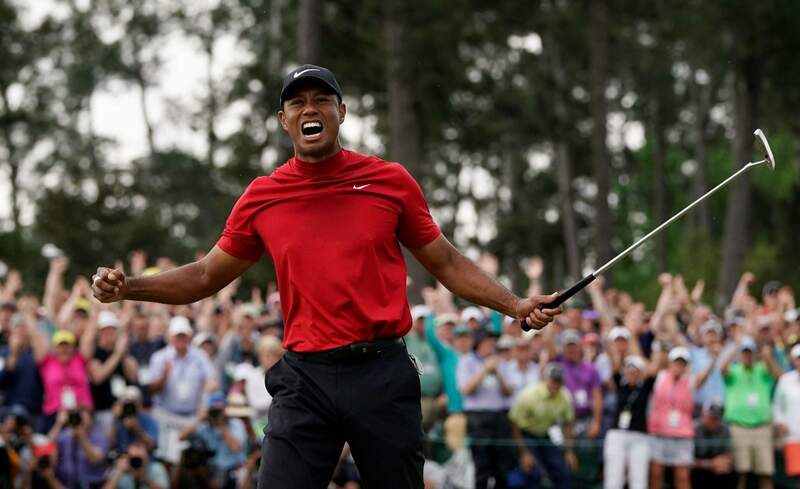 It is the fifth green jacket for Woods, one behind Jack Nicklaus for most all time. 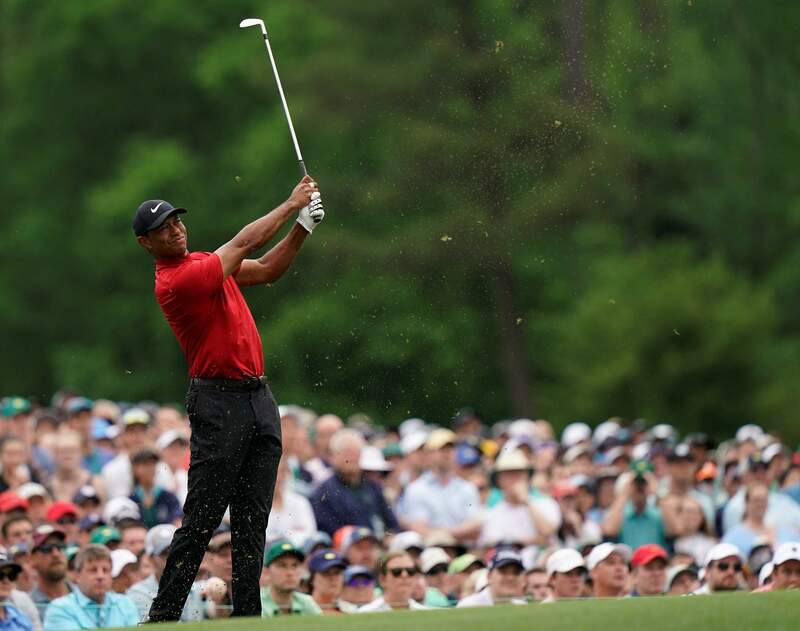 Tiger Woods hits on the 12th hole during the final round of the Masters golf tournament on Sunday in Augusta, Ga.
Tiger Woods hits to the fourth green during the final round of the Masters golf tournament on Sunday in Augusta, Ga. 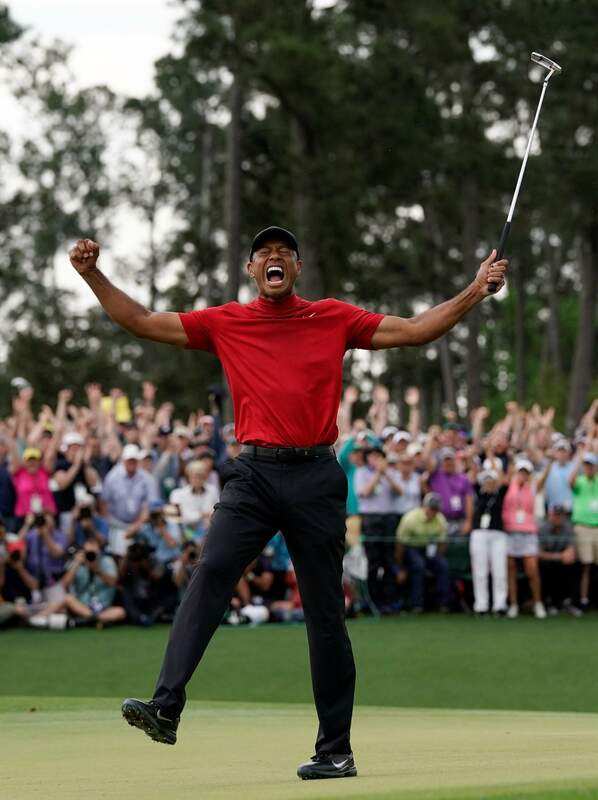 He tapped in for bogey and a 2-under-par 70, and the celebration was on with his one-shot victory. It didn’t used to look that way when he was younger, healthier and the most popular sporting figure in the world. “I think 18 is a whole lot closer than people think,” said Brooks Koepka, another player who finished one shot behind. 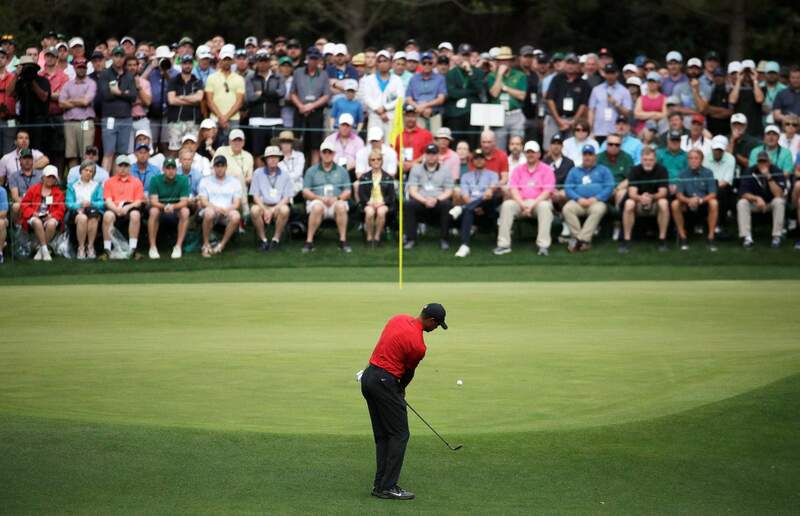 Molinari’s tee shot on the par-3 12th never had a chance, hitting the bank and tumbling into Rae’s Creek for double bogey. Until then, Molinari had never trailed in the round that began early in threesomes to finish ahead of storms. 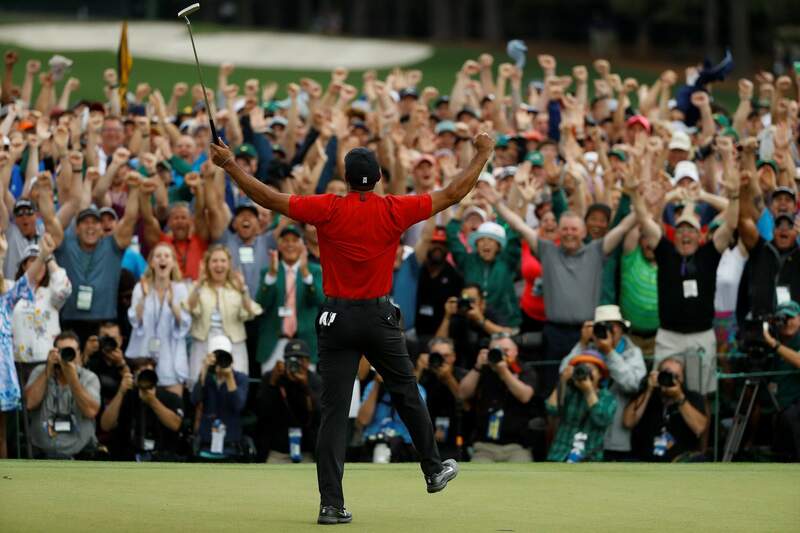 Koepka and Molinari had both faced Tigermania in the majors and held their own, Molinari at Carnoustie to win the British Open, Koepka last summer at Bellerive to win the PGA Championship. Molinari went 49 consecutive holes without a bogey, a streak that ended on the seventh hole. It was the double bogeys that cost him, and the Italian was gracious as ever in defeat .